Use coupon code SS100 to save $100.00 off a Photo Booth Rental. 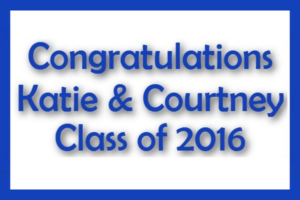 Expires July 30, 2016. Add SS100 to the message section of the CONTACT FORM or RESERVATION FORM. 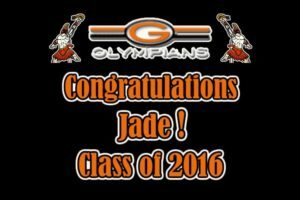 Sunday afternoon, June 12, 2016, family and friends joined to celebrate Jade’s graduation. There was great food, great music and Masters Memories Photo Booths was there with our Open Air Booth too. With all the props on the table right in front of you and 6 seconds in between each picture to switch props … it gets hilarious! 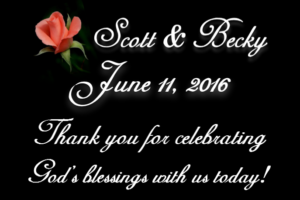 Saturday evening at The Sanctuary Church in Colorado Springs, Colorado, Scott and Becky celebrated their wedding vows with friends and family. There was a lot of love, joy and great fun. Masters Memories Photo Booths was invited to the party and we brought our Open Air Photo Booth. 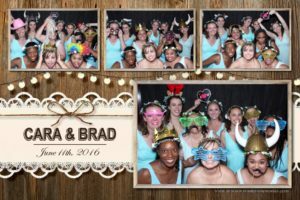 Cara and Brad were married last Saturday June 11, 2016. They celebrated their new life together with family and friends at The Maggie in Breckinridge, Colorado. There was great food, great music and great fun was had by all. Masters Memories Photo Booths was there too with our Open Air Photo Booth. 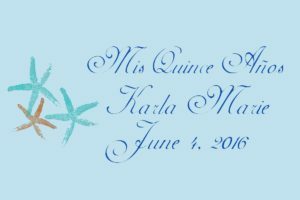 Saturday night, June 4, 2016, family and friends gathered together to celebrate Karla Marie’s Quinceañera. There was quite a celebration. There was great food, great music, great friends and family and Masters Memories Party Booth was there too. The Party Booth is a great option for anyone not wanting or needing a full size photo booth with an attendant. Saturday evening, June 4th, 2016, Mark and Heather threw a big party. It was a long awaited celebration of their nuptials with friends and family and celebrate they did! How many of us can fit into anything we wore 20 years ago, let alone our wedding dress. Heather can! She was radiant in her wedding gown and what a pretty picture next to her girlfriends in their “beautiful” bridesmaids dresses. Saturday June 4th family and friends gathered in Washington Park to celebrate at Katie and Courtney’s graduation party. There was great food, great friends and great weather and Masters Memories Photo Booths was there too with our open air booth and 10×10 tent. 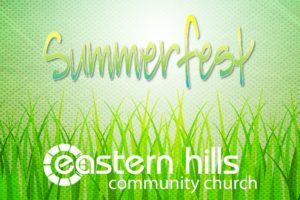 Friday afternoon in Aurora, Colorado, Eastern Hills Community Church threw a party on the lawn. There were inflatable water slides, good music, a food truck and food cart and Masters Memories Photo Booths was there too. The weather was perfect and great fun was had by all.